KITS AND PARTY PACKS READY TO USE! SPRING SALE: CASES OF BRANCHES SHIP FREE! Most of our branches can be purchased by the case, with shipping included, and also include a discount on the branches. Perfect for weddings or other events. 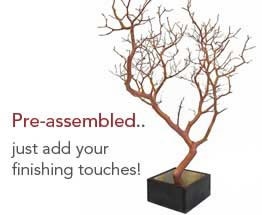 Click here for cases of manzanita branches in all sizes. The WOW! factor. You want your event to look the very best and leave a lasting impression. 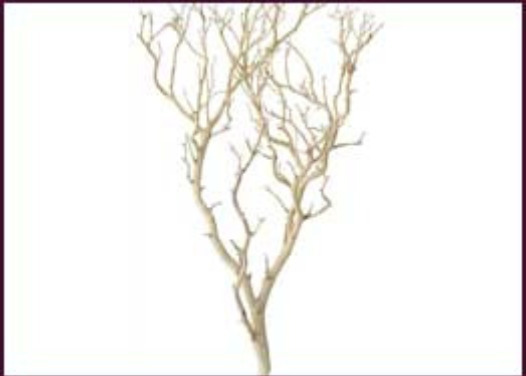 Blooms & Branches only harvests and ships the most suitable pieces for event use. However, if you have a need for a certain shape or size, let us know and we'll try to get it for you! Need colors? Gold, silver, black, white or sparkle? Sandblasted? We've got you covered. If you don't see what you need, let us know and we'll get you going in the right direction. Containers, bases and vases- wood or glass? 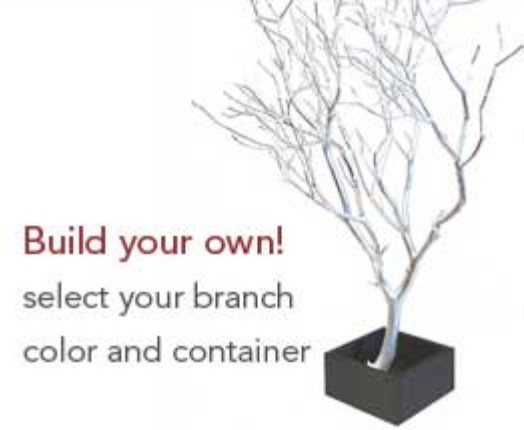 We have everything you need to create your centerpieces- even pre-built displays to make it as easy as possible. How-TO GUIDES. WATCH OUR VIDEOS! 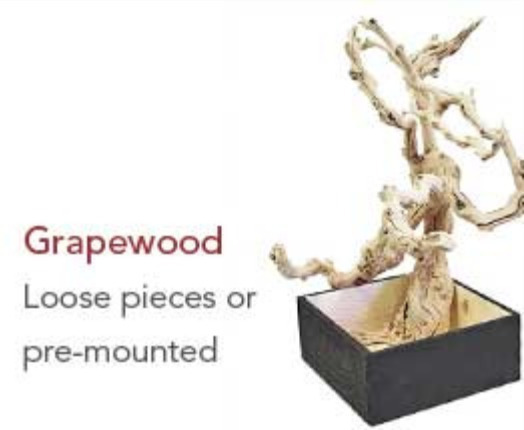 How do I mount my branches into a container? What if the items are too big for my vase? Should I use glass? 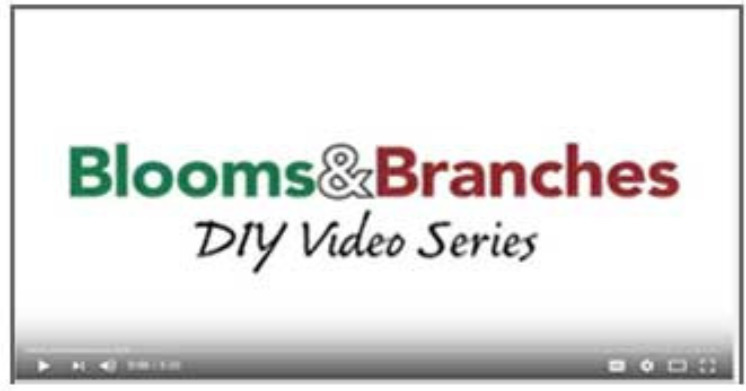 Watch our videos to learn the trade secrets! Sample Packs. Can't decide on a size? Compare to see what works best. Birch twigs, poles and trees. Create your own forest wonderland! Glass vases and fillers. A wide variety of vase shapes, and all types of colorful fillers. Glass vases. Choose from a large assortment in several styles and shapes! Votive candle holders. Create an elegantly lit room- several styles available. 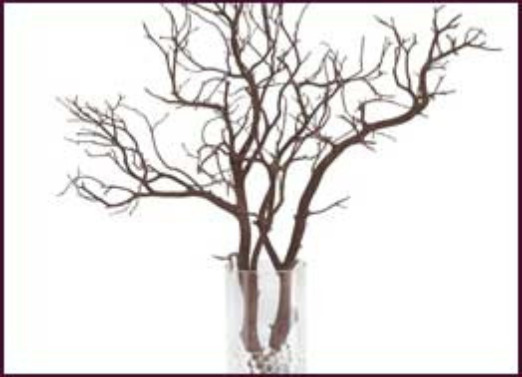 Curly Willow is a classic centerpiece and design essential. Two sizes, ships fresh. 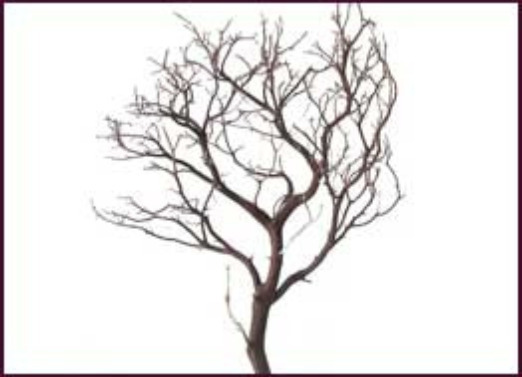 "These branches exeeded my expectations! They are absolutely stunning"
© 2014 Blooms & Branches. All Rights Reserved.